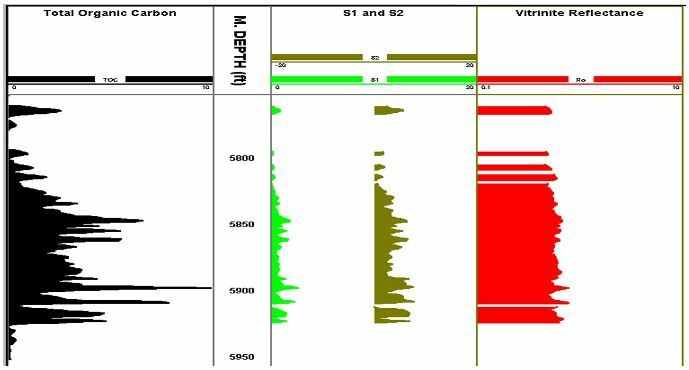 Source Rock Evaluation and Hydrocarbon Characterization (Source & Environment of Deposition, Hydrocarbon Maturity, Oil-Oil Correlation, Oil-Reservoir Extract Correlation, & Oil-Source Rock Extract Correlation). 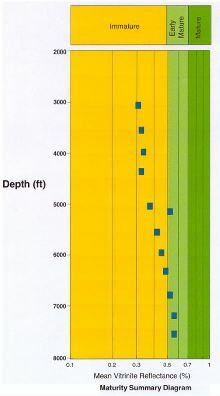 Formation Water Characteristics and Organic Richness (Organic Carbon “TOC” & Source Potential “S2”). 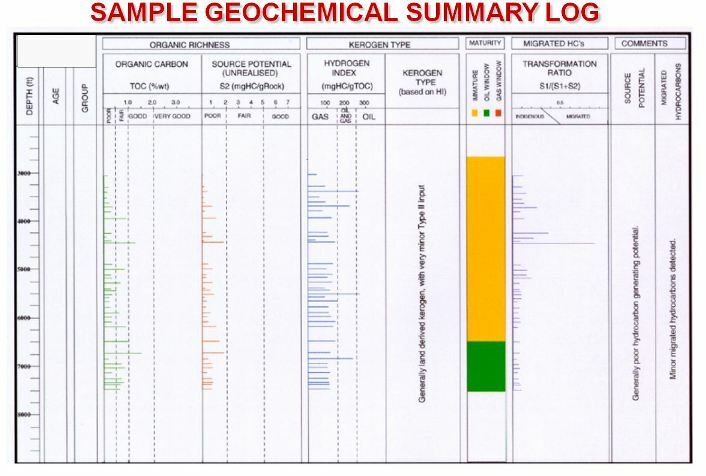 Kerogen Type (Hydrocarbon Generating Potential “Hydrogen Index – HI”). Kerogen Type based on HI. 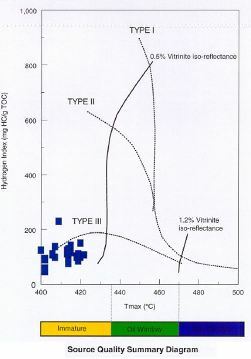 Maturity from Vitrinite Reflectance (Immature, Oil Window, & Gas Window). 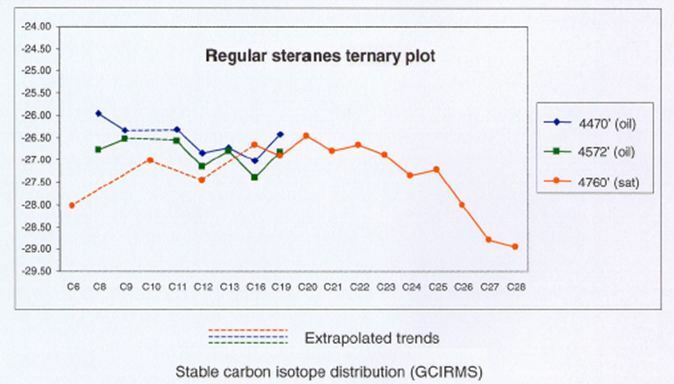 Migrated Hydrocarbons (Transformation Ratio “S1/S1+S2”). 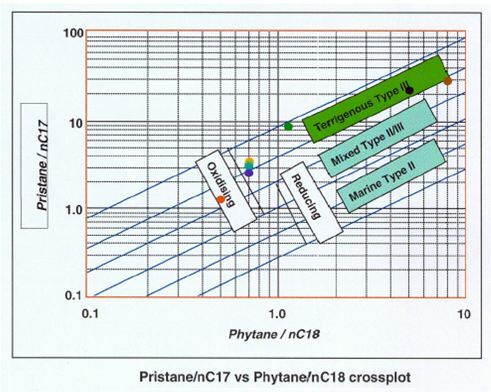 Evaluating Source Potential Migrated Hydrocarbon Potantial.